Here’s another great Prime Exclusive deal you won’t want to miss for the musician in the house! 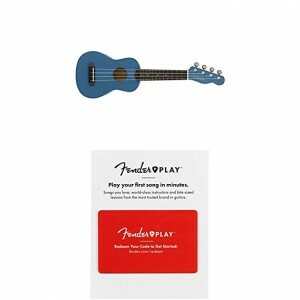 Get this Fender Venice Soprano Ukulele – Lake Placid Blue with 3 Month Fender Play Card (Amazon Exclusive) today from Amazon for $49.99 (reg. $89.98)! Plus you’ll enjoy FREE 2-day Shipping with your Amazon Prime membership.